Some people may believe that sexual harassment, although inappropriate, is ultimately harmless and does not have a long term impact on the victim. However, the reality is that sexual harassment can be dangerous for mental health and even have physical effects as well. Victims of sexual harassment may be suffering silently while the other person involved has no idea of the damage that their behavior has caused. It is important for companies and institutions to have very strict and effective policies regarding sexual harassment because it can affect people long after the event has taken place. Researchers have found that people who experience sexual harassment at work are more likely to develop severe depression symptoms. People who experience sexual harassment by clients or customers also have a higher risk of developing depression. With the recent avalanche of sexual harassment allegations against celebrities and powerful people including producer Harvey Weinstein, it is more important than ever for people to be conscious of inappropriate behavior. Through hearing the stories of the many women that have been victims of sexual harassment, we’ve learned more about the devastating impact that it can have on person’s life. Understanding the effects of sexual harassment will hopefully motivate people to speak out when they see something happening in their own workplace or any other situation. People who experience sexual harassment repeatedly and have no outlet to talk about or remedy the situation are the ones who are affected most deeply. People who deal with serious sexual harassment issues can develop symptoms of disorders such as depression, anxiety and even PTSD or post-traumatic stress disorder. Harassment can be especially dangerous for people who have pre-existing mental health disorders that may be triggered or exacerbated by inappropriate behavior. Sexual harassment can trigger new symptoms of mental health issues in an individual or cause conditions to recur that had already been resolved or controlled through treatment. Experiencing harassment early in your career can put someone at an even higher risk for suffering from long-term depression symptoms. 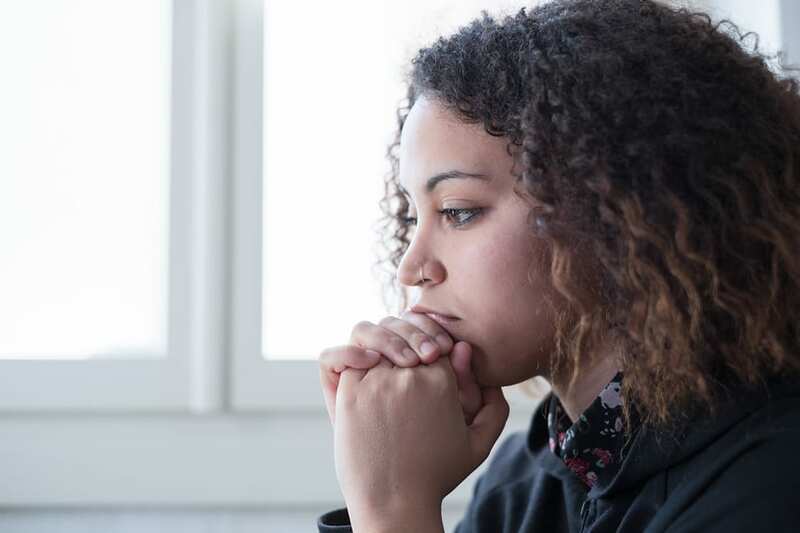 It may cause issues of low self-esteem, anxiety and lead to many of the dangers associated with depression such as self-harm or suicidal thoughts. Those who experience more than just verbal harassment and are involved in some type of sexual assault can develop symptoms of PTSD. In fact, 90 percent of women who experience sexual violence exhibit symptoms of acute stress in the immediate aftermath of the assault. The symptoms can dissipate over time with proper support but for those without that support system they can start to show symptoms of PTSD. It is clear why sexual violence or assault may lead to high stress symptoms but some people may wonder how an inappropriate comment or action may harm mental health. When someone experiences sexual harassment, depending on the individual, they may register the event as a trauma. Victims who are vulnerable to certain mental health problems may not process the event as easily as others and end up being traumatized. When a victim is harassed and does not know how to deal with the situation their body starts to become overwhelmed. They may be unaware that their body has registered the experience as a trauma and is unable to process the stress. Without help, victims can even start have physical symptoms in the aftermath including muscle aches, headaches or even high blood pressure. Sexual harassment can cause someone to enter a state of shock or denial which can ultimately evolve into depression. Even for those who recognize that they are in a stressful state of mind may struggle to combat their symptoms of depression or anxiety as they start to develop. The harassment is more than just a negative experience, it is a high stress event that affects the body and the brain immediately. When someone is harassed in their workplace, having to return to work following the event on a regular basis can lead to continued stress and anxiety. Many people even experience panic attacks because of their workplace environment not dealing with sexual harassment. Victims also feel guilt and shame that can have devastating effects on their self-esteem and sense of self-worth as a professional. Victims are faced with a multitude of negative emotions including embarrassment, fear of others finding out and questioning their ability as an employee. It is important for everyone in the workplace to be aware of sexual harassment and not allow their fellow employee to suffer in silence. If you notice harassment is taking place and the victim is too afraid to speak out, do your part by talking to management or HR about the situation. If you or one of your co-workers is the victim of sexual harassment talk to a supervisor, manager or even contact the Department of Fair Employment and Housing to address the problem right away.